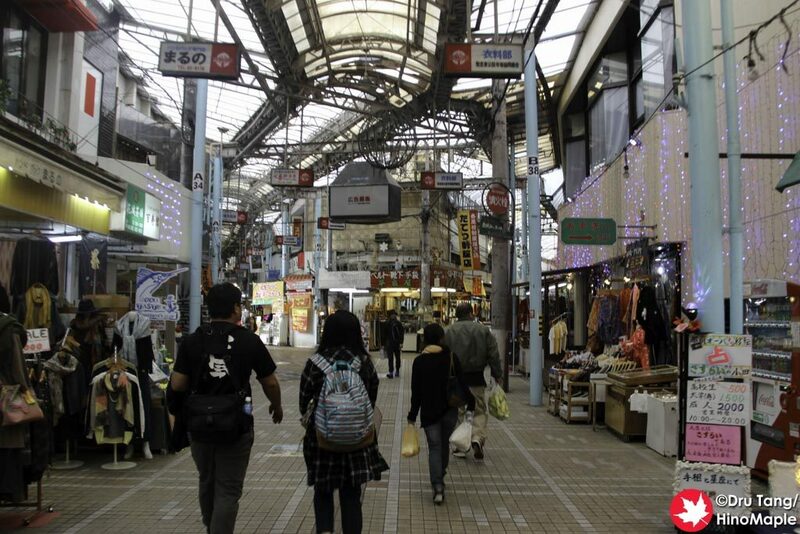 Kokusai-dori may be the main tourist area of Naha but the Makishi Shopping Arcades are a wonderful place to get lost. 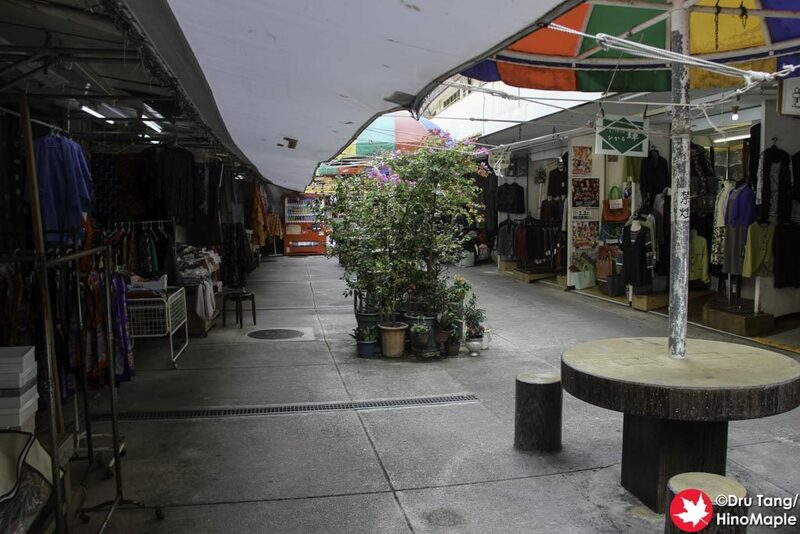 It is hard to explain the area but the entrance is near the middle of Kokusai-dori and it doubles as the main access point for the Makishi Public Market, a famous market where you can get almost any food that Okinawa has to offer. There are actually 3 shopping arcades with the Ichiba Hon-dori Arcade and Mutsumi-bashi Arcade being the main ones giving access to the Makishi Public Market. They run parallel to each other and they are very close to each other so shops that run between these arcades actually have access from both sides. The other main arcade is the Heiwa-dori Arcade which is just a little closer to Makishi Station. The entire area is not that difficult to navigate if you have a map but because they flow like a river and the sun is not seen, it is very easy to get turned around and lost. 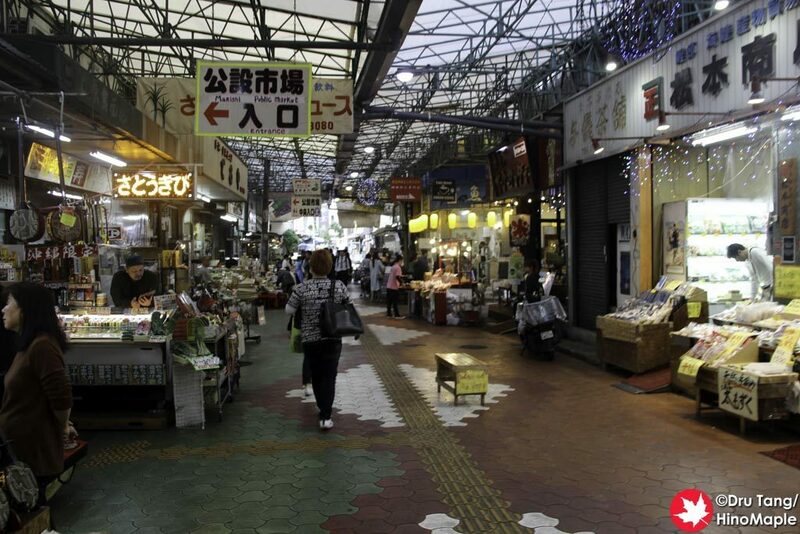 The main attraction of the shopping arcades is the Makishi Public Market. I didn’t bother buying anything as I was not hungry. 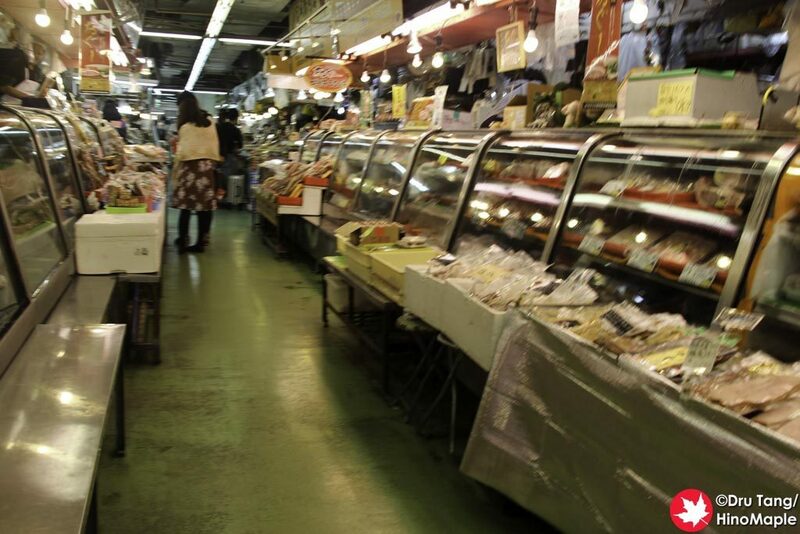 It is the most popular market in Naha and you can often see people filming Japanese TV shows. They have various pig parts, vegetables, and tropical fish for sale. They range in price but you can see some of the brightest fish for sale as well as some scary pig heads if you are not used to seeing them. Many tourists just buy them and head up to the second floor to one of the restaurants where they will cook it up for you. You do have to pay the restaurant a cooking fee but I heard it isn’t too expensive. Obviously the locals usually just take the food home instead. 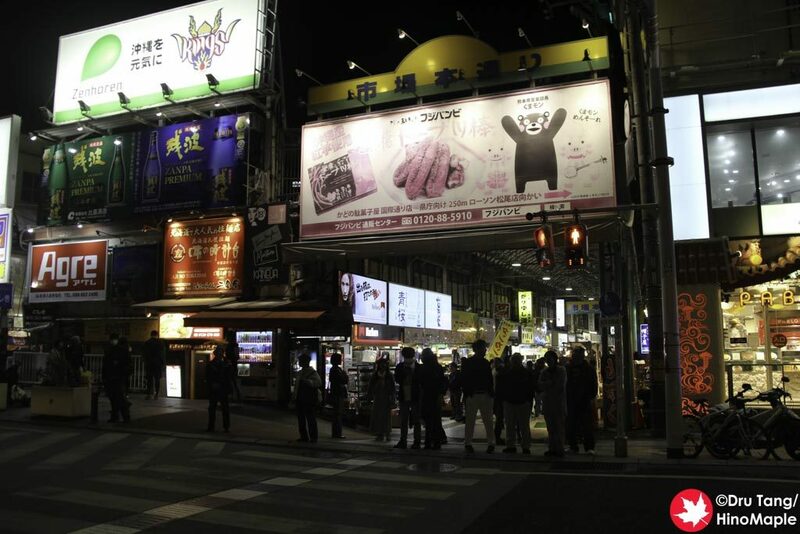 The Mutsumi-bashi and Ichiba Hon-dori Arcades are the most popular arcades. 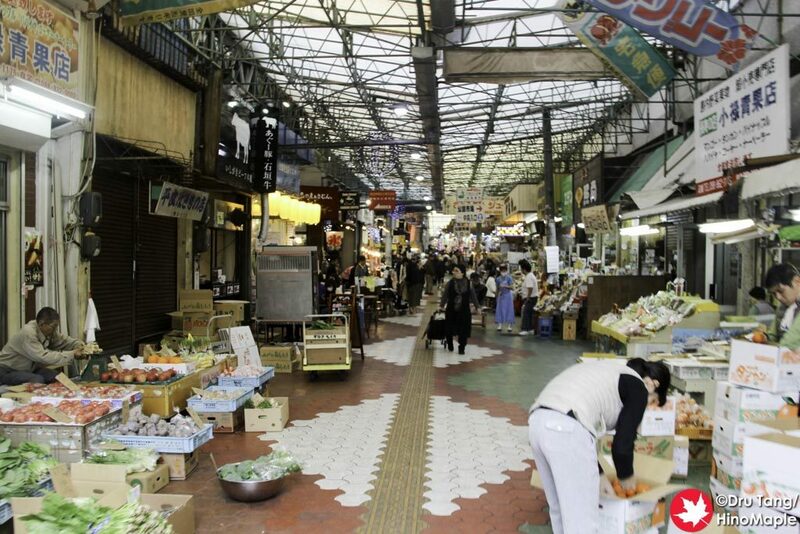 Most tourists don’t venture farther than the Makishi Public Market but there is a lot to see. You will find a lot of souvenir shops and I found the prices to be cheaper than on Kokusai-dori. If you are looking for the typical souvenirs, this area is much better and more Japanese. The shops on Kokusai-dori tend to focus more on foreigners while the shopping arcade shops tend to focus more on Japanese tourists. If you venture into the back of the shopping arcades things get a little spookier. People become sparse and the arcade starts to look more run down, as most arcades do in Japan. I found it pretty fun to look around and see the shops; you start to get more of the local eateries. It is also a popular area for hostels as the rents are probably cheaper. I can’t remember the exact location but my friend who grew up in Okinawa showed me around the shopping arcades and he showed me his childhood hangout. It was where his grandmother had a shop and there are still a lot of grandparents with shops in that block. The average age of the people there seemed to be in their 80s and it was a lot of fun to see the different architecture there. I can imagine what it was like 20 years ago as things really haven’t changed much. The shopping arcades are getting better and better in Naha and I can imagine that new shops will be popping up in the back as time goes on. It is the future of Naha as some of the shops with character are closing on Kokusai-dori and I think they will move towards the back of the shopping arcades. I’m excited to return to Naha and see how this area is changing and you can be sure that I will spend even more time on my own just exploring this area next time. This entry was posted in Okinawa and tagged Heiwa-dori, Heiwa-dori Shopping Arcade, Ichiba Hon-dori, Ichiba Hon-dori Shopping Arcade, japan, Makishi, Makishi Public Market, Makishi Shopping Arcade, Mutsumi-bashi, Mutsumi-bashi Shopping Arcade, Naha, Okinawa, shopping arcade by Dru. Bookmark the permalink.